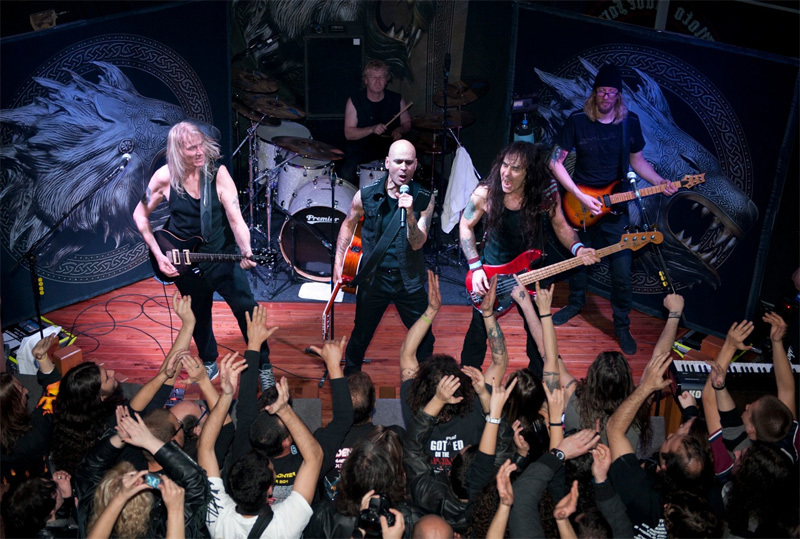 Iron Maiden bassist Steve Harris and his new solo band, British Lion, kicked off their European tour Wednesday night in Faro, Portugal. The opening night event was a special charity show at The Moto Clube, with all profits going to the Red Cross. 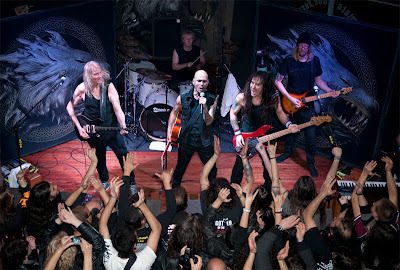 "British Lion" is Harris’ debut CD outside Iron Maiden and was released by EMI in September 2012. Featured alongside Steve are Richard Taylor on vocals, David Hawkins on guitar and keys, Grahame Leslie on guitar, and Simon Dawson on drums. The band will visit 14 countries and 24 cities across Europe on the current tour.